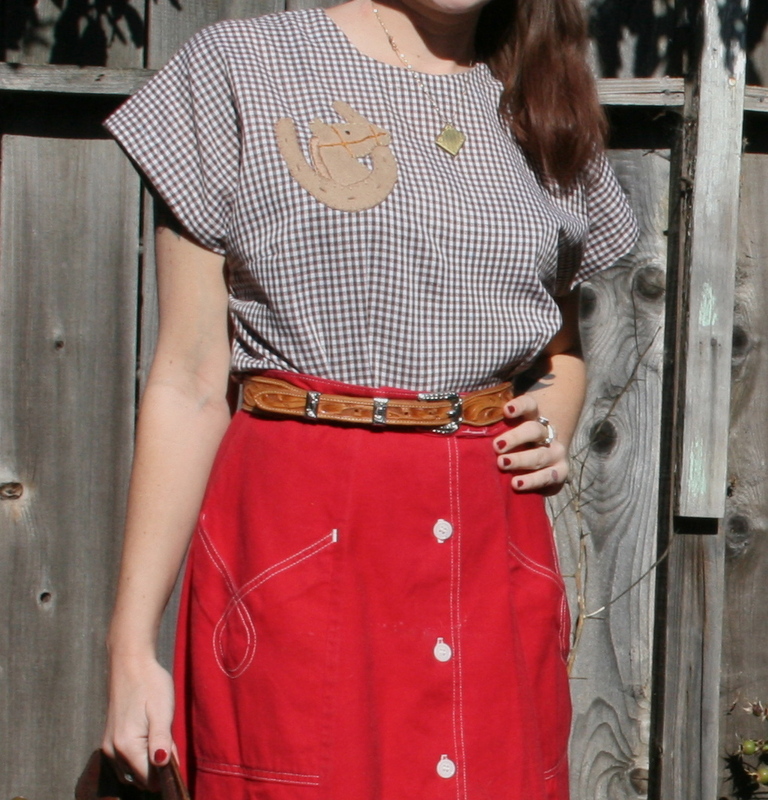 Gingham blouse with western appliqué! I just finished sewing up a fun little project that I want to share! I used Simplicity 1093 to make a simple cotton blouse. I chose “style 3” because I wanted the most basic shape as I planned on adding an appliqué. The blouse was a fairly quick project to sew up, mostly because there were only five pieces to work with! The front and back bodice pieces are both cut on fold and the sleeves are part of the bodice, so there are only the two big pieces to worry about. The remaining three are a neck facing and two sleeve facings. 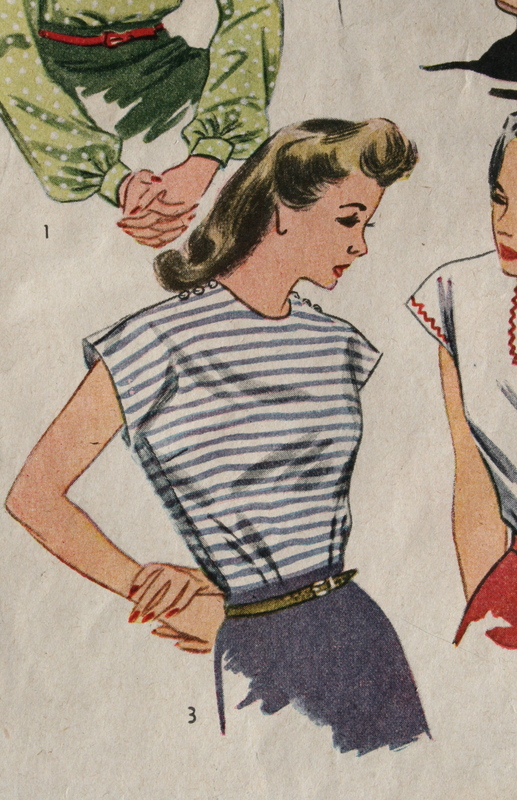 The blouse opens by a tiny side zipper that runs from about the bust down to the hem. 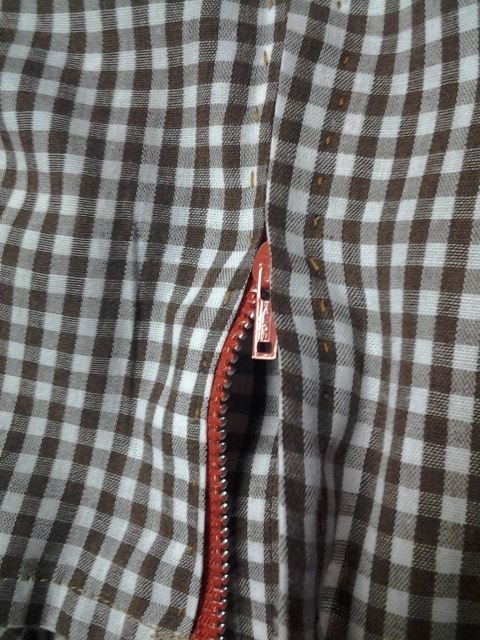 I inserted the zipper by hand with a pick stitch, which is a technique I’d been itching to try for a while. 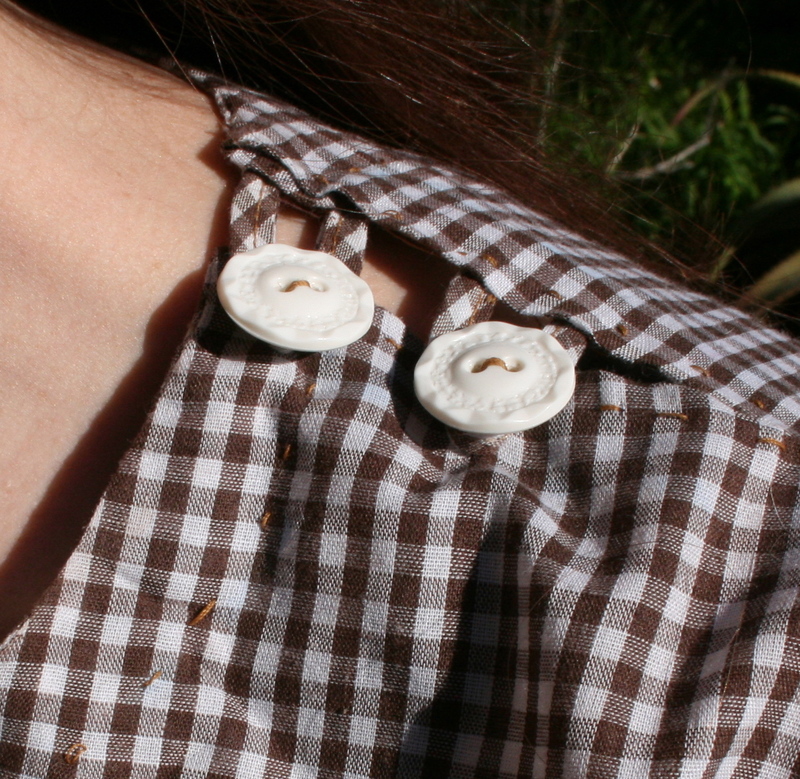 There are also two buttons at the neckline which aid in slipping the blouse over your head. As you can see, I liked the hand picked look so much that I did all of the topstitching by hand as well! 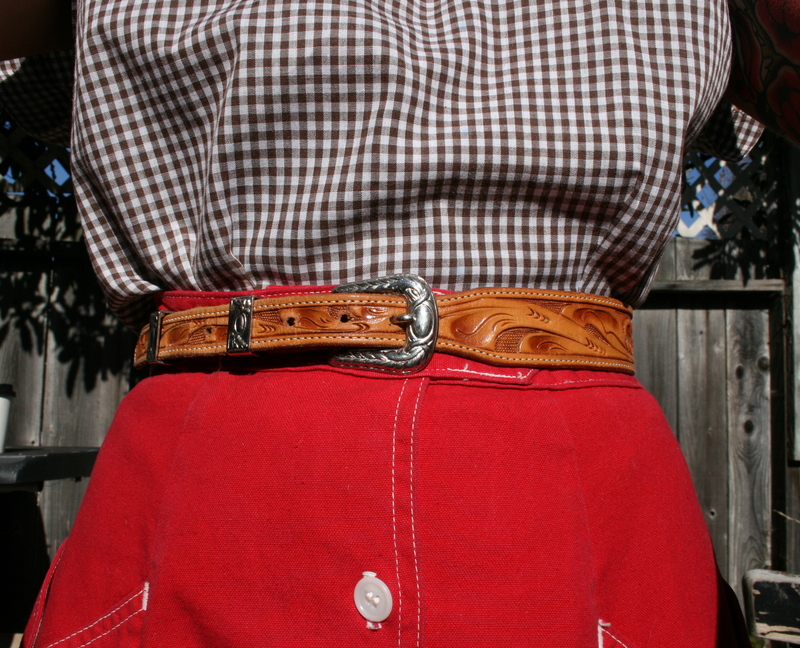 I paired my new blouse with a red button-front skirt and tooled leather belt. Now for the appliqué…my favorite part!! 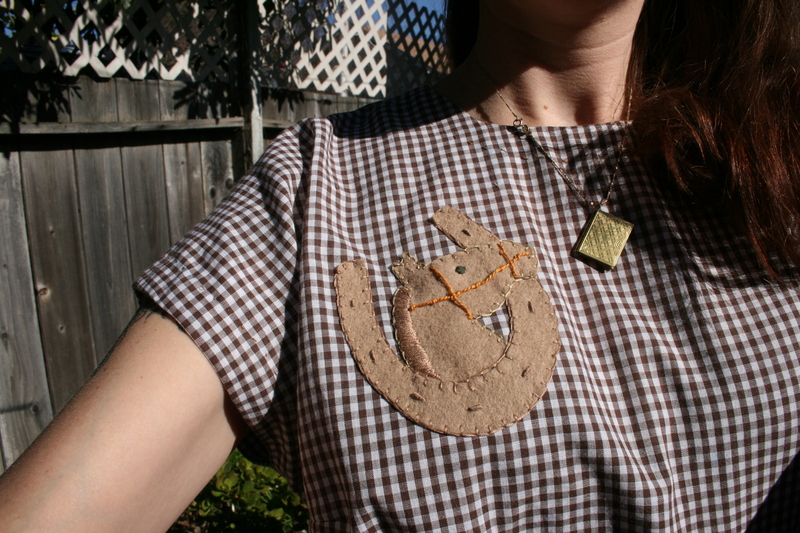 I cut this little design out of felt and attached it to the blouse with a blanket stitch. 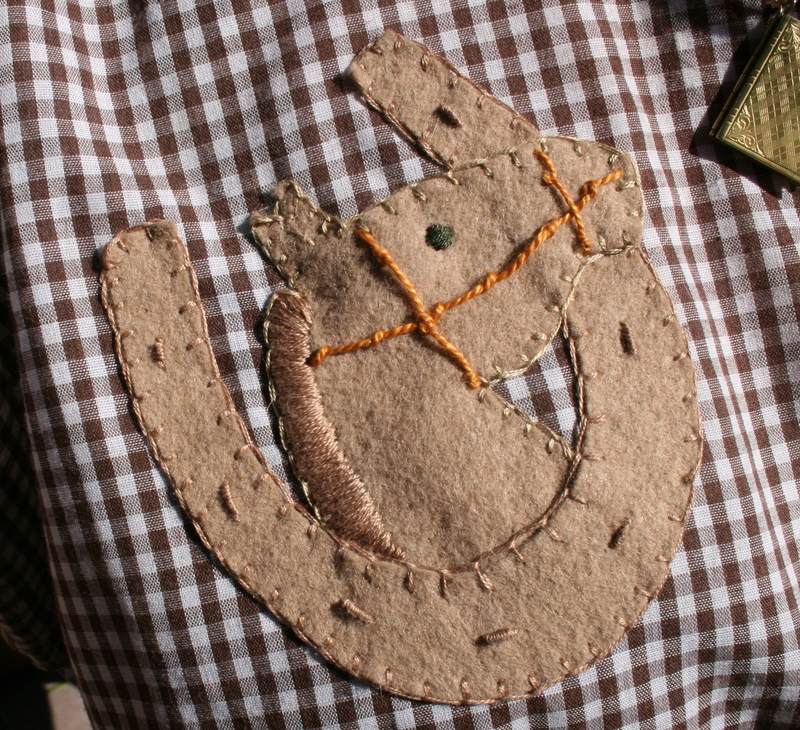 Next, I embroidered the details (horse’s bridle, mane, etc.) with a variety of embroidery stitches. I’m really happy with this project, it was such a fun one! Now I leave you with an “out take” in which my dog Herby decided to make an appearance…. that’s my “excuse me….tryin’ to take photos here” face. I love your blouse! Well done! Oh! This pattern got reprinted in the latest batch of Simplicity releases! I wanted it already, now I really, really want it. Great job! Looks like a comfy blouse. I do like gingham. 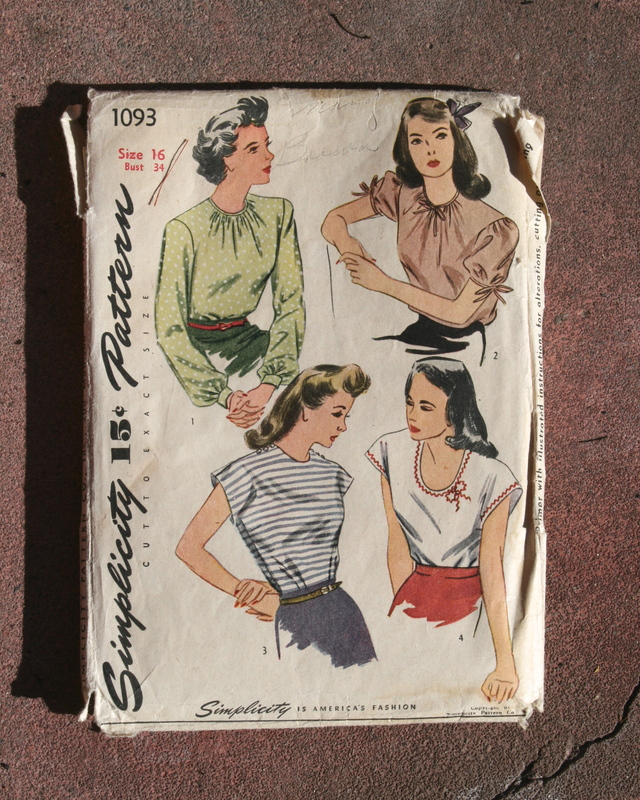 I note its the blouse pattern simplicity have re-released. Very cute! What a lovely job! I love the blouse and the applique! Nice sewing. I am partial to cowgirl stuff, too! From one Tina to another!